This tutorial will help you to Install and configure Joomla CMS on your Debian based systems. First of all, configure the LAMP server on your system. Execute the following commands from system terminal for the installation of LAMP server. First, add the required PPA repository in your system. Now install the packages for Apache, PHP, and MySQL using the below commands. Download the latest version of Joomla CMS archive from the official GitHub repository. At the time of writing this tutorial Joomla 3.8.2 is the latest available version, Use the following command to download Joomla archive. 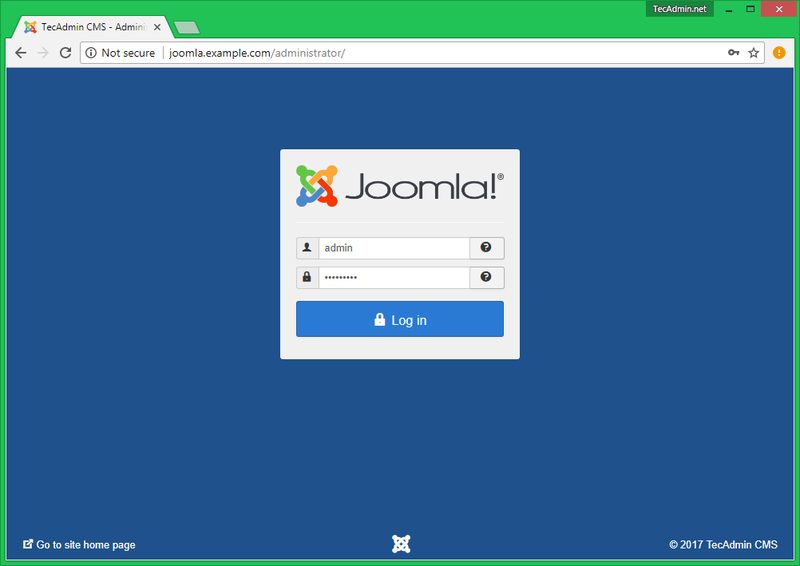 Now extract Joomla under the document root of the Joomla Apache Virtualhost. 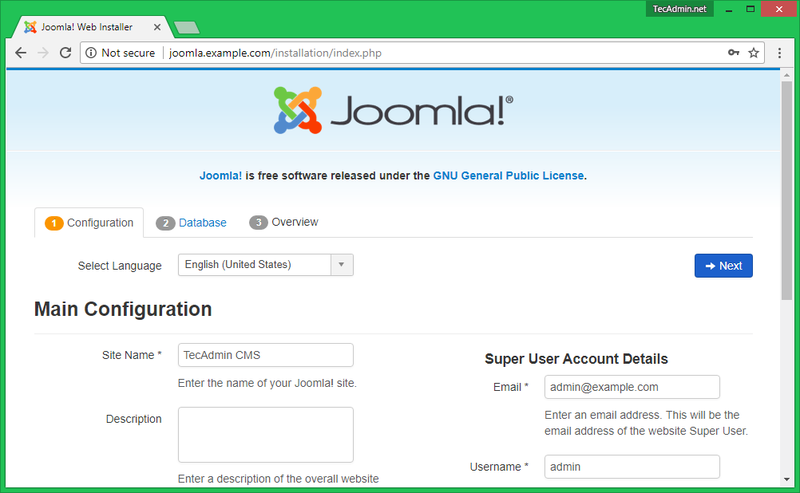 You can access your Joomla directory using the subdirectory URL like http://localhost/joomla. But if you need Joomla on the main domain, Let’s configure your Apache virtual host like below. 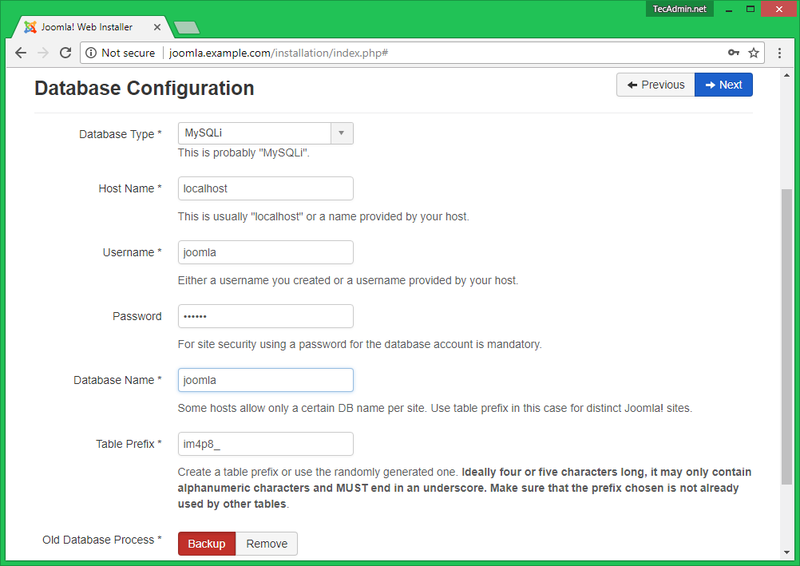 Now login to the MySQL server using administrative privileges and create the database for Joomla. Also, create a separate MySQL user for the newly created database. 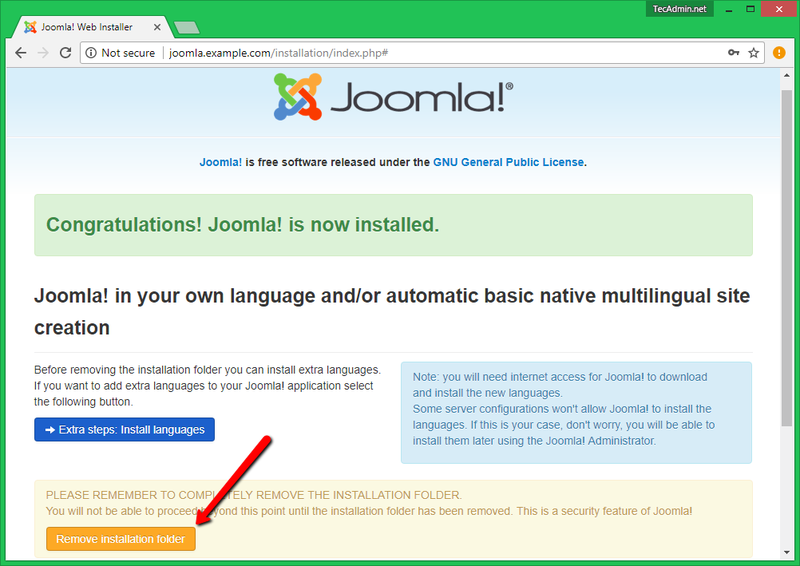 Joomla provides a web installer to complete the installation. 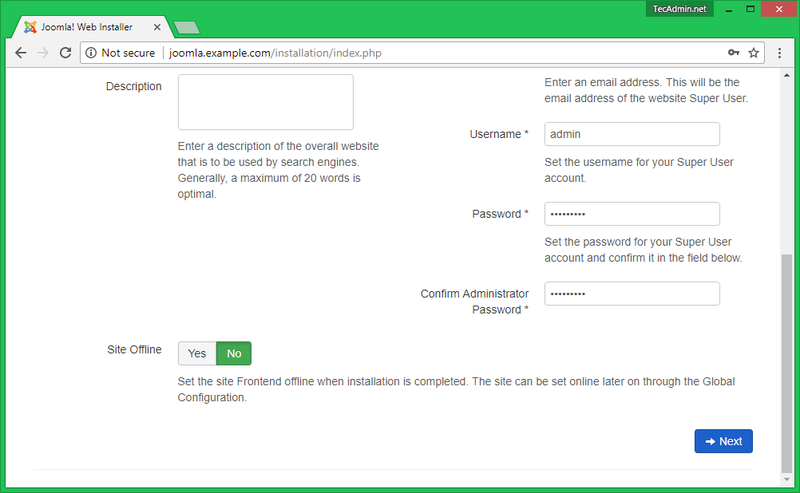 Begin the installation by access Joomla URL as configured in Apache virtual host. 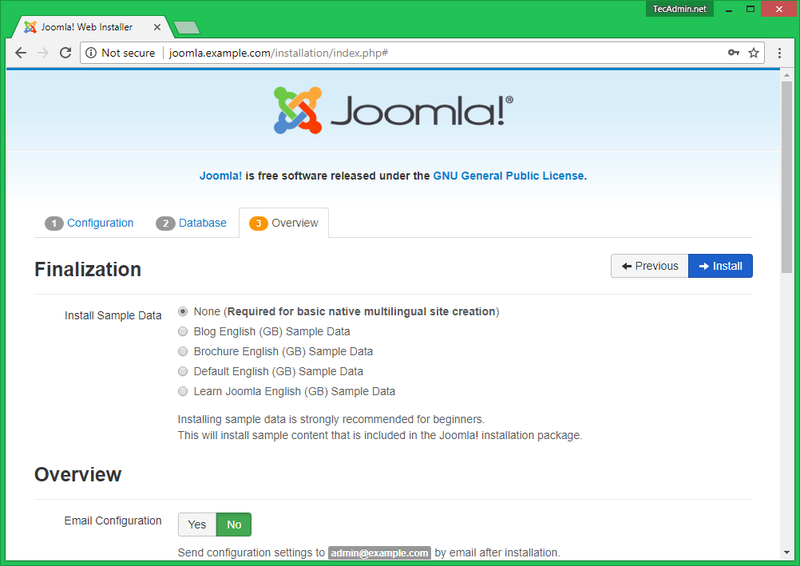 On the first page, enter the site name and administrative user details to access Joomla admin panel after the installation. Input the database details on this page created in step 4. 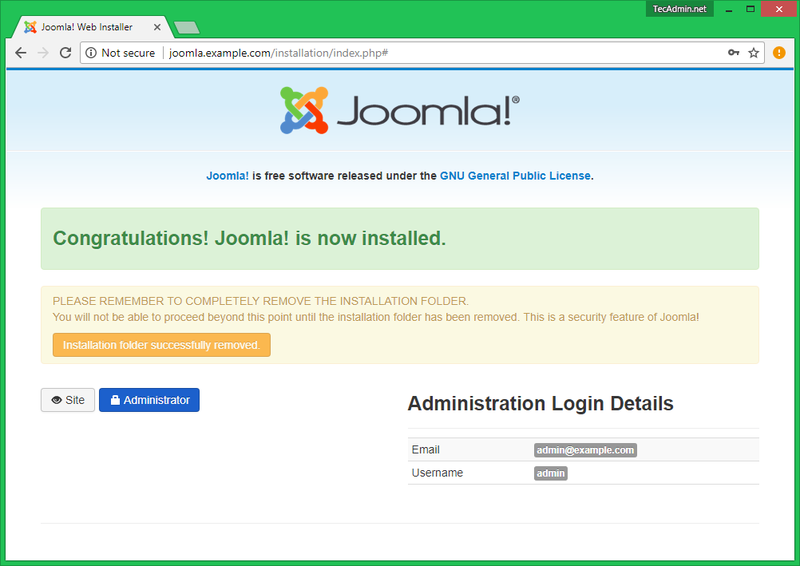 You Joomla installation has been finished. You just need to remove installation directory by clicking on “Remove Installation Folder” button. 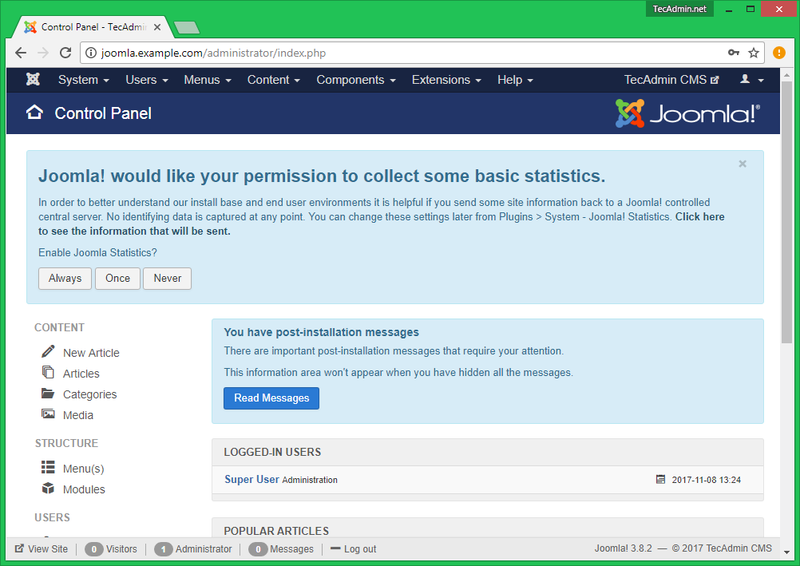 Click on Administrator button, Login to your Joomla admin panel using the specified credentials in Step 1. Administrator dashboard for your Joomla setup. Comes back with command not found.